Detailed on a project page, the Petcube is a small device for the home that allows pet owners to routinely check in on their cat or dog during the day. When connected to a home’s Wi-Fi network, the Petcube allows the user to view a live, 720p video feed using a smartphone or tablet. In addition, the user has the ability to move the wide-angle camera angle up to 162 degrees, listen in on the pets using an internal microphone and speak to the pets using the built-in speaker. Conceptually, this could allow a pet owner at work to silence a barking dog at home with a quick command. Beyond that technology, the Petcube also includes a low-intensity laser pointer that’s attached to the camera mount. As the camera is moved into different positions, the laser will follow. 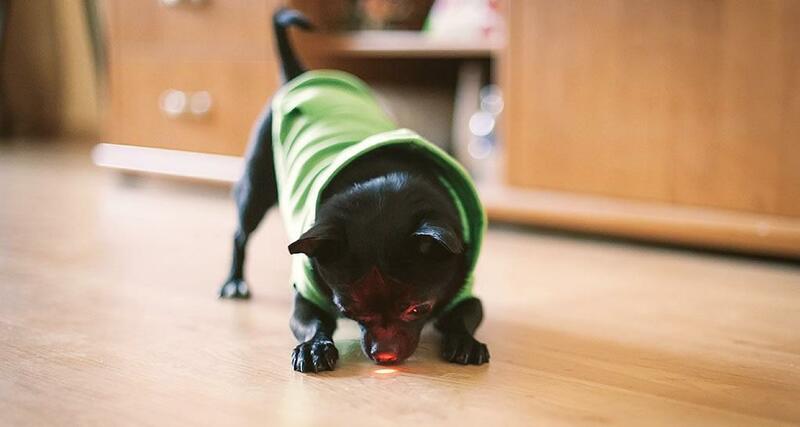 Using the touchscreen controls on an iOS mobile device, the user can send the laser racing around the room and encourage their pet to get a bit of exercise chasing the laser dot all over the place. Regarding safety, the team that’s building the Petcube is consulting with veterinarians to ensure the strength of the laser won’t be able to harm the eyes of your pet. Interestingly, the Petcube development team is building an internal social network that allows other Petcube owners to play with other pets on the network. Assuming the Petcube device has been set to public access, any pet owner can make their pet’s video feed public to encourage strangers to play with their pet. However, this could become a security issue if the location of the home can somehow be determined from the video feed. However, users will be limited on the amount of time the video feed is open to the public. The development team estimates this window of time will be about 15 to 30 minutes. Beyond encouraging other Petcube users to play with pets, the team is building an achievement badge system as well as a messaging system between Petcube owners. There will be a way to share a private video feed with family and friends in order to encourage more people to interact with your pet. In addition, the iOS app will send the user notifications based on certain scenarios within the home. If a pet is barking incessantly, the app could send the user a quick notification after picking up the noise levels on the microphone. This could be ideal for anyone that lives in an apartment with thin walls and frustrated neighbors. The device is fairly small at just four inches wide, four inches long and four inches deep. The standard version will have grey aluminum around the sides and a shiny black front. 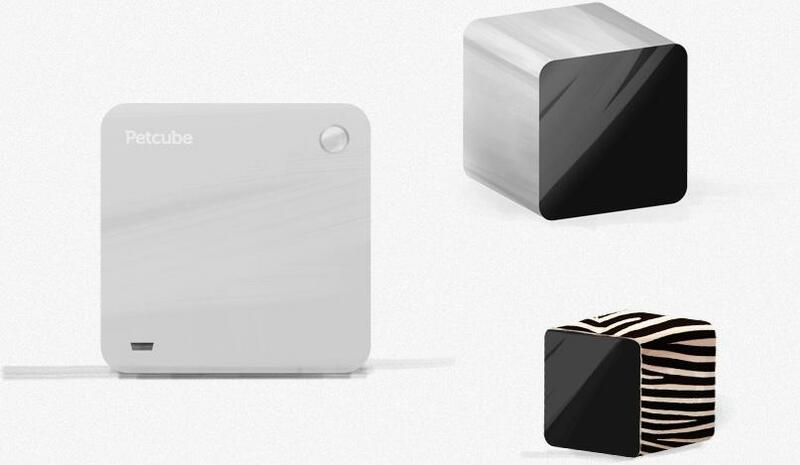 Skins will be available for purchase in order to customize the Petcube for different decors. At this time, the development team is finalizing the prototype and plans to launch full-scale production by Fall 2013. There’s no price attached to the Petcube at this time, but anyone interested in the device can sign up for an email notification when the Petcube is available for preorder.